ARN 272 is a FAAH-like anandamide transporter (FLAT) inhibitor (IC50 = 1.8 μM); cytosolic variant of FAAH-1 that binds anandamide. BIA 10-2474 is an inhibitor of fatty acid amide hydrolase (FAAH) with IC50 values of 50 to 70mg/kg in various rat brain regions. It is degraded primarily by the fatty acid amide hydrolase (FAAH) enzyme, which converts anandamid. 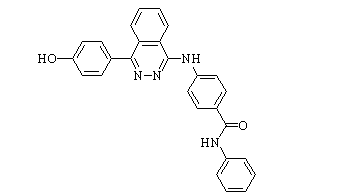 JNJ-42165279 is a FAAH inhibitor with IC50 of 70 ± 8 nM and 313 ± 28 nM for hFAAH and rFAAH, respectively. URB597 is a potent, orally bioavailable FAAH inhibitor with IC50 of 4.6 nM, with no activity on other cannabinoid-related targets. PF-3845 (PF 3845) is a selective fatty acid amide hydrolase (FAAH) inhibitor (Ki = 0.23 μM).